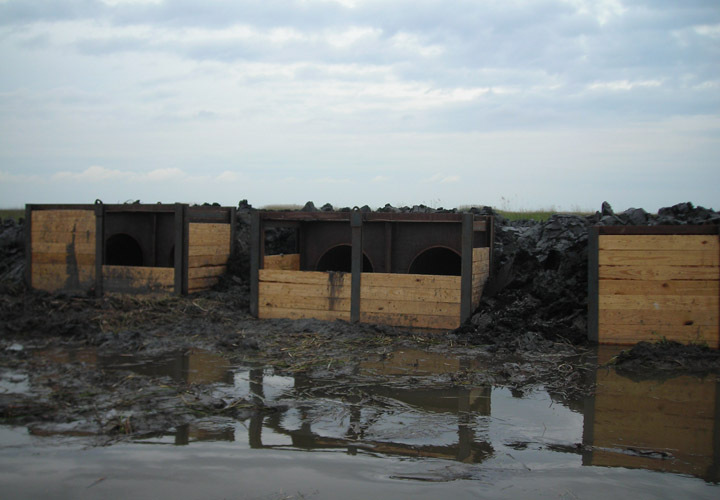 The East Marsh Island Marsh Creation Project (TV-21) is located on the east end of Marsh Island Wildlife Refuge southeast of Lake Sand in Iberia Parish, Louisiana. The borrow area for the project is located approximately 2 miles east of Marsh Island in East Cote Blanche Bay. The site is accessible only by boat. 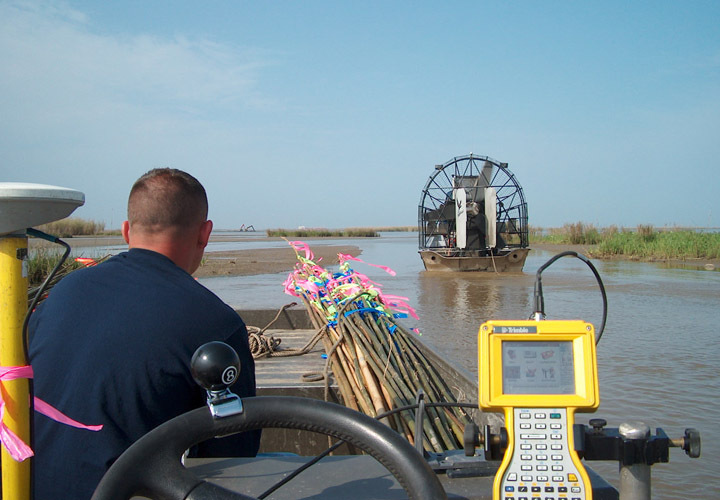 The nearest boat launch is the Burns Point landing located in Burns, Louisiana. An alternate boat launch is the Cypremort Point State Park landing located in Cypremort Point, Louisiana. 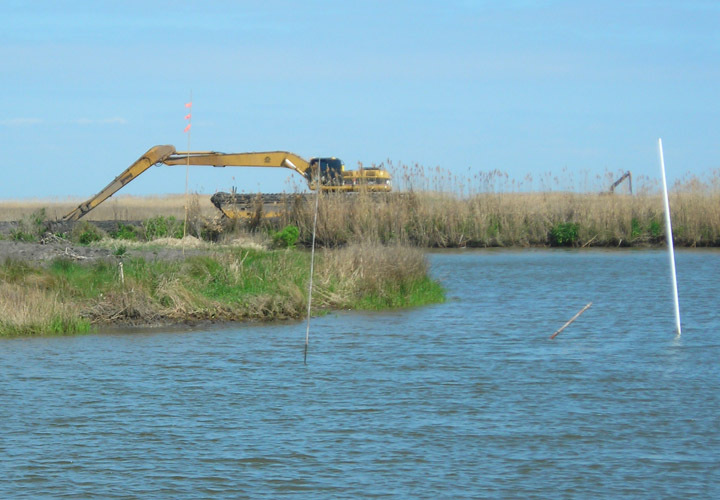 The purpose of the project was to create 165 acres of marsh and nourish an additional 197 acres marsh on the northeast end of Marsh Island using dredged sediment from East Cote Blanche Bay. 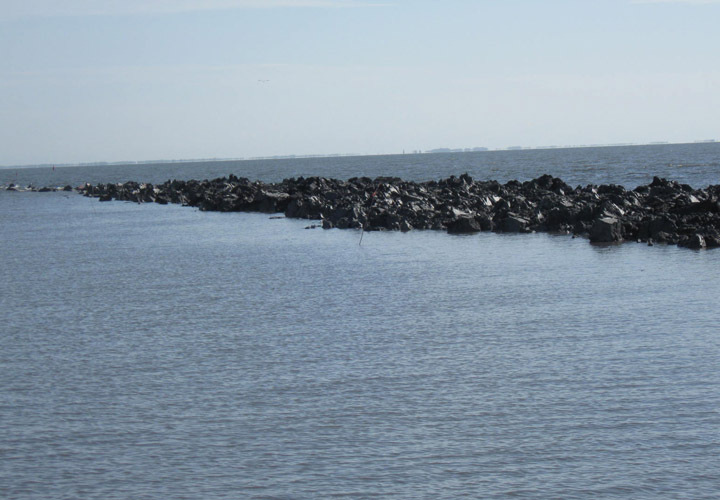 The Grand Lake Shoreline Protection Project (ME-21) is located in Cameron Parish, Louisiana, on the southern shoreline of Grand Lake near Catfish Lake. The site is accessible only by boat. The nearest boat launch is located on Superior Canal at Louisiana Highway 82. The purpose of the project was to protect the southern marsh shoreline from wave erosion due to the exposure of wave action of Grand Lake. The rock dike will maintain the position and integrity of the south shore of Grand Lake. The project consisted of the construction of a 7 mile rock dike along the southern shoreline of Grand Lake, including access and flotation channel excavation, settlement plates and warning signs. 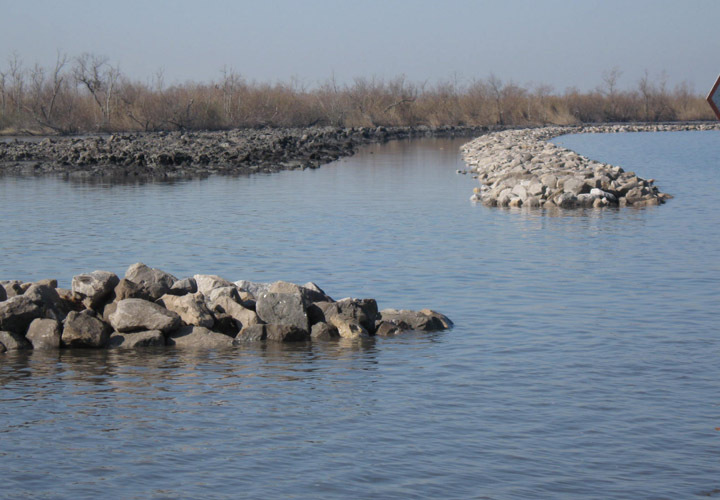 Pecan Island Terrace Creation was a Louisiana Department of Natural Resources project awarded to Aucoin & Associates, Inc. to create new vegetated marsh in the present shallow open water lake. The scope of the project was to construct earthen terraces in a pattern conducive to reducing wave energy which would enhance propagation of submerged aquatic vegetation. 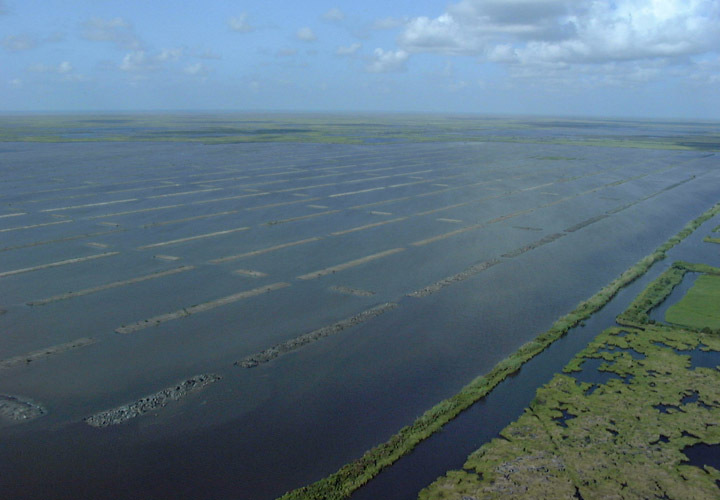 The project is located in Vermilion Parish and comprises approximately 3,550 acres and consists of primary open water and former pasture land of approximately 1,950 acres and approximately 1,600 acres of brackish marsh and open water. The terraces were constructed of in-place dredged soil deposited in berms. Smooth cordgrass was planted along the water’s edge of the terraces to stabilize the earthen berm and provide habitat for aquatic life.